Home security cameras have become popular in many different forms, shapes and models. While most home-owners install these cameras for very basic reasons, like watching their children to see when they get home or seeing who is at the front door before they answer it, there is a much more useful purpose: catching criminals in the act. Every homeowner hopes that they will never have to use their cameras for this purpose, but unfortunately it happens much more than we would like to see. One of the latest problems plaguing home-owners, is the disappearance of packages that are left on their porch by UPS, Fed Ex or USPS. These packages could contain items of all different values, and account for a great deal of loss. What is worst about this kind of crime, is it happens in broad daylight and takes seconds, and you may not even know it happened for days or weeks afterwards if you did not know when the package was supposed to arrive. These individuals, luckily caught on their cameras the 'porch pirates' in the act, who are now accused of several crimes spread across the city. Without evidence from a well planned security camera system, evidence in these cases is non-existent and the likelihood of capture very remote. Luckily these are pretty clear images, so it is likely that someone will recognize the individual, and they will probably be brought to justice. Designing a home security camera system should be performed by a professional, looking at aerial views and layouts while discussing your concerns or problems that you have experienced. Home security should not be pre-boxed, otherwise you may find yourself with a system that will not suit your needs. Areas for special consideration, are the ability to access the video archives...because you may not know what happened at your home if it takes you hours to play through your video. 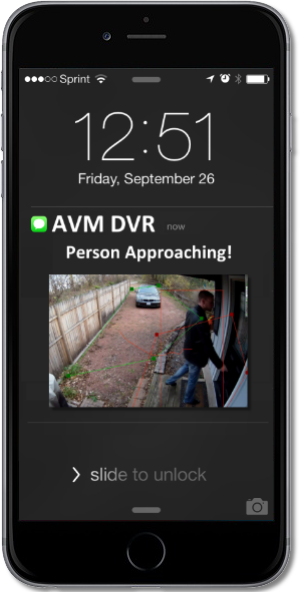 Systems like our home AVM systems deliver the ability to scan through days of video in a matter of seconds, which means that you can spend 10-15 seconds and see everything that happened at your home that day. Combine that with industry-leading remote access from your PC, Mac, iPhone, Android and other devices, and you have a truly professional camera system that will help keep you informed. Our newest line of security cameras, offer SMART alerting capabilities, which allow your cameras to text or email you alerts when someone is approaching your house. These SMART cameras can judge the difference between a person, vehicle, animal and other movement like the wind blowing to reduce or eliminate false alerts and ensure that your camera system (when combined with our AVM) lets you know when something important may be happening. This new line of home security camera systems can be added to any of our previous AVM home security camera systems, extending the capabilities far beyond other offerings on the market. Our technical support staff helps calibrate the cameras and setup alerts to ensure you always stay informed.